A magnitude 6.9 - 283km S of Ndoi Island, Fiji, almost 400 km deep is the second major quake of the day after a magnitude 6.1 struck Zambia this morning. It is the 5th major quake of February and the 12th of 2017. 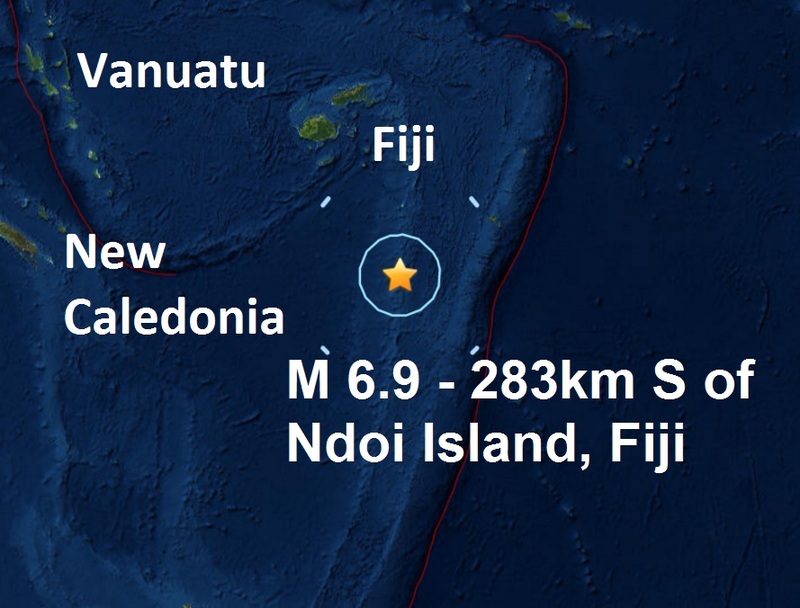 Today's quakes have come as no surprise and was predicted a couple of days ago, see below. 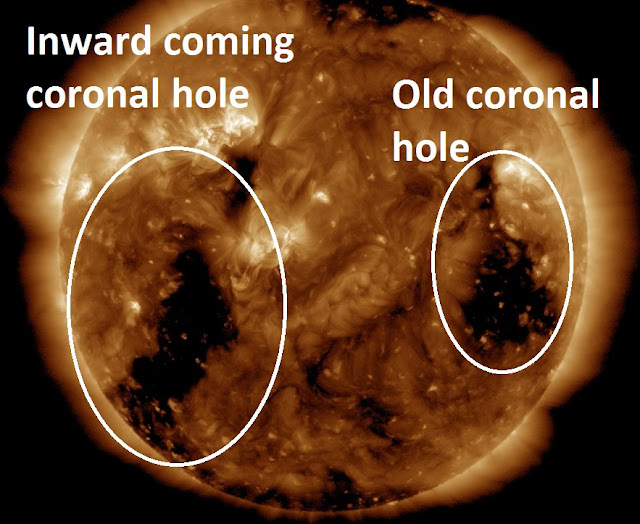 As a massive coronal hole faces Earth, we mentioned Wednesday we could be in for major quake activity. Meanwhile as the massive coronal hole turns away from Earth, yet another is turning to face Earth meaning we could still expect more major quakes and volcanic activity in the coming days. Earth is inside a stream of solar wind bombarding the magnetosphere at a speed of 643.4 km/sec flowing from the indicated coronal hole. Credit: NASA/SDO. Is there a record of this effect happening over and over again? I find it vary interesting. I have the alert on my iPhone, but is not showing up on any of earthquake reporting pages! That was 2 hours ago!